The 2019 Nevada Space Grant and NASA EPSCoR Statewide Meeting will be held April 26, 2019 at the University of Nevada, Reno. The Statewide Meeting will include oral and poster presentations featuring research results of Nevada NASA EPSCoR and Nevada NASA Space Grant funded projects. Registration is required by April 15, 2019. Nevada NSF EPSCoR announces the new Project Director, Dr. Frederick C. Harris, Jr. 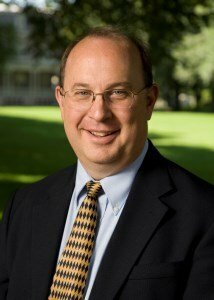 Following an internal statewide NSHE search, the Research Affairs Council along with Vice Chancellor Constance Brooks approved the appointment of Dr. Harris, who will take on the role of Project Director while continuing his work at the University of Nevada, Reno, where he is a Professor in the Department of Computer Science and Engineering. As the Project Director, Dr. Harris will lead the current National Science Foundation (NSF) Established Program to Stimulate Competitive Research (EPSCoR) Track-1 (NEXUS) project. In addition, he will serve as lead Principal Investigator (PI) on the new proposal that is under development for the next cycle of Track-1 (2020-2025) funding. The current Track-1 project began in June 2013, as a five-year cooperative agreement with an annual renewal process and has been extended through 2019. The total award is $20 million with a state match requirement of $4 million. Dr. Harris has extensive experience with NSF EPSCoR. He has been part of three Track-1 projects and two Track-2 projects. His leadership positions in these projects have helped him understand the purpose and structure of the EPSCoR programs and enabled him to collaborate with researchers across the state and the western United States. He has also represented Nevada’s Track-1 program at various national meetings and has been invited on multiple occasions to travel to Washington D.C. to present on his research and the state EPSCoR goals at NSF and the U.S. Senate. He received his PhD in Computer Science from Clemson University. He has been involved as PI, Co-PI, and Senior Personnel on grants from NSF, NASA, ONR, DOD, and DARPA, totaling more than $50 million. He has over 50 journal publications and more than 180 full paper peer refereed conference publications, collaborating with over 300 co-authors. Dr. Harris has led collaborative research efforts throughout his career and looks forward to increasing this type of research across our state as the new NSF EPSCoR Project Director. Multiple regulatory inputs control type three secretion in the bacterial pathogen Shigella flexneri. The goal of this project is to understand transcriptional regulation used by the bacterial pathogen, Shigella flexneri, to control the secretion of effector proteins via the type three secretion system (T3SS) needle. This analysis is important because many bacterial pathogens use the T3SS to inject effector proteins into a human host cell to cause disease. Despite rigorous attempts to maintain a clean room for spacecraft assembly, Shigella flexneri and other bacterial pathogens have been found in air samples obtained at the Johnson Space Center. I hope that my findings can be used to develop novel therapeutics and/or a more effective live-attenuated S. flexneri vaccine. This project peaked my interest in how bacterial pathogens respond to external signals found within the host environment. The NASA funding provided me with the rare opportunity to focus solely on my research. Altogether, this experience has reinforced my drive to continue academic research pursuits after I graduate. Collaborative Control of Multiple UAVs for Wildfire Tracking and Monitoring. According to the U.S. Forest Service, an annual average of 70,000 wildfires burn approximately 7 million acres of land and destroy more than 2,600 structures. Wildland firefighting is dangerous and a lack of information is one of the main causes of accidents. Unmanned aerial vehicles (UAVs) provide situational awareness of wildfire scenes because they can augment hazardous fire-tracking activities and significantly save operational costs. The UNR team, lead by Dr. Hung La, developed a distributed control framework for a team of UAVs to monitor wildfire in open space and precisely track its development. The UAVs are designed for flexible deployment and to effectively avoid in-flight collisions and cooperate well with other UAVs. Each UAV self-learns and adjusts its altitude to provide optimal coverage of an unknown field. The proposed controller was tested in simulation (Figures 1 & 2) and on an AR2 drone using a motion capture system in the Advanced Robotics and Automation (ARA) Lab. Risk Mapping Salt Mobilization and Mitigation Strategy Evaluation for Rangelands. Although rangeland covers the majority of the western United States, the impact of management practices on rangeland erosion is not well understood. Our team developed a risk mapping process to identify areas where disproportionate amounts of erosion occur within the Upper Colorado River Basin. Our approach leveraged NASA remote sensing and National Resource Inventory datasets to parameterize the Rangeland Hydrology and Erosion Model. The results predict erosion rates over large basins. Monopolistic Behaviors in Unmanned Airspace. During my graduate studies at the University of Nevada, Reno (UNR), under Dr. Yliniemi, I worked on a model enhancement to include more realistic unmanned airspace flight patterns for NASA’s Unmanned Traffic Management (UTM) system. The current methods for modeling multiple subsystems of autonomous Unmanned Aerial Vehicles (UAVs) do not account for competitive markets. By making modifications to an existing multi-UAV model, we investigated different behavioral interactions between the multiple subsystems and showed how competitive behaviors affect each subsystem. The Nevada System of Higher Education (NSHE) invites applications for the position of National Science Foundation EPSCoR Project Director. 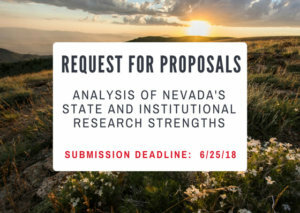 The project director plays a vitally important role to plan and implement National Science Foundation (NSF) Established Program to Stimulate Competitive Research (EPSCoR) Research Infrastructure Improvement (RII) programs in Nevada. This position leads the five-year RII Track-1 project with a budget of $20 million in federal funding and $4 million in state match. This position requires leadership in engaging multiple research-intensive institutions and a diverse array of undergraduate institutions, and facilitating collaborative research among dozens of research faculty, postdocs and graduate students. Regular travel (statewide, regional, and national) is required. Strong team management skills and the ability to build consensus. Working knowledge of state priorities for economic development as identified in the Science and Technology Plan and the State Economic Development Plan. The mission of NSF EPSCoR is to advance excellence in science and engineering research and education in order to achieve sustainable increases in research, education, and training capacity and competitiveness that will enable EPSCoR jurisdictions to have increased engagement in areas supported by NSF. The Nevada EPSCoR office currently administers Nevada’s NSF EPSCoR Track‐1 Research Infrastructure Improvement (RII) award. In addition, a new proposal is under development for the next cycle of Track‐1 (2020-2025) funding. The current Track‐1 project began in June 2013, as a new five‐year cooperative agreement with an annual renewal/reporting process and has been extended through 2019. The total award is $20 million with a state match requirement of $4 million. The Project Director will report to his/her institutional supervisor (at UNR, UNLV, or DRI). This position requires direct communications with the Director of the System Sponsored Programs and Nevada EPSCoR Office. The NSHE Research Affairs Council (RAC) will provide performance evaluation feedback to the institutional supervisor annually. The Project Director will work with the staff of the Nevada EPSCoR office, the NSHE Research Affairs Council (as applicable) and NSHE faculty to accomplish the tasks listed below. As per NSF requirements, the Project Director is the lead PI on NSF EPSCoR Track-1 awards, providing financial, reporting, and evaluation oversight. Aligns system-wide NSF EPSCoR program activities with state and national priorities in STEM research and education. These priorities will target research development, economic development and workforce development priorities for the state and NSF. Engages and develops advisory committees (e.g., project external advisory committee) that will help guide program processes. Engages and effectively communicates with Nevada representatives on the EPSCoR Coalition and Foundation Boards. Engages with and effectively communicates with the Vice Presidents for Research at DRI, UNLV and UNR. Works closely with the NSHE Research Affairs Council. Engages the science PIs on implementation of Track-1 NSF EPSCoR projects. Works with the NSF EPSCoR Project Administrator to ensure timely reporting to demonstrate progress toward and meeting of Track-1 project goals and objectives. Effectively communicates with faculty and researchers at DRI, UNLV and UNR in building consensus related to projects and proposals. Reports on the state-wide and the national program’s efforts and outcomes to Nevada’s elected officials (e.g., Governor’s office, Senator’s offices and Nevada’s congressional delegation). Works effectively with the NSHE System Sponsored Programs and EPSCoR Office in Las Vegas associated with the NSF EPSCoR program. Facilitates the selection of research focal areas and leads the development of NSF EPSCoR Track-1 proposals. Budgets: Works with Project Administrator to ensure fiscal integrity of Track-1 funds and spending. Evaluation: Provides oversight for retrieving, organizing, and synthesizing information for evaluation requirements; works with external evaluator. Programming: Ensures efficient and effective processes for resource allocation and program reporting. Represents Nevada’s Track1- program to the national NSF EPSCoR program, the NSHE Board of Regents, all NSHE institutions, the NSHE Research Affairs Council, Nevada’s economic development community, Nevada’s State and Federal legislative delegation, and other NSF EPSCoR partners (e.g., the local school districts) as needed. These duties include annual NSF EPSCoR meetings in Alexandria, Virginia, as well as other meetings across the country. Actively promotes the success of the NSF EPSCoR program within and outside Nevada, including developing promotional materials such as posters and presentations. The newly appointed Project Director will co-Lead the NSF EPSCoR Track-1 (Nexus) project at 40% FTE with the current Project Director (Gayle Dana; at 40% FTE) from October 15, 2018 to December 31, 2018. Starting January 1, 2019, the new Project Director will spend 40% of his or her time, on a 12-month basis (renewable and contingent on funding), as the sole lead of NSF EPSCoR Track-1 activities. Upon receipt of a new RII Track 1 project, (estimated 2020-2025), FTE may increase to 60% per year (renewable and contingent on funding). During the term of the appointment, salary may be provided from both federal funds and special projects match and subawarded to the home institution. The remaining 60% salary is provided by the successful applicant’s home institution for teaching, administrative and/or research at that institution. The successful applicant for this position is expected to begin work on or about October 15, 2018. The Project Director serves at the pleasure of the NSHE Research Affairs Council. The Council will provide performance feedback to the individual’s institutional supervisor for the purpose of annual performance evaluations. The Council may terminate this appointment at any time upon a majority vote of the Council that termination of the appointment is in the best interest of the EPSCoR program. Following any such termination of the appointment, the faculty member will return to his/her home institution full-time and any portion of the faculty member’s salary associated with the appointment shall cease. The faculty member, in consultation with his/her home institution shall be solely responsible for obtaining alternate funding to offset the portion of his/her salary associated with the appointment. This appointment is a temporary assignment and faculty members shall not have any vested interest in the salary or assigned duties associated with the appointment. Applications may be submitted until position is filled; however, to ensure full consideration, applications should be submitted by September 14, 2018 by 5:00 pm. Application packets should be e-mailed directly to NSHE SPO/EPSCoR Director Marcie Jackson at mjackson@nshe.nevada.edu. Subject line should read: [Applicant First Name_Last Name]_NSF EPSCoR PD. For questions or assistance, please contact Marcie Jackson at (702) 522-7079. An email will be sent to confirm receipt of your application by COB on September 14, 2018. Three professional letters of recommendation; one letter must be from your immediate supervisor at your current institution. The new data dashboards will focus on NSHE strategic goals of Access, Student Success, Closing the Achievement Gap, Workforce, and Research.